All production on this sturdy solid steel case is done in the United States! It measures 4" x 2 3/4" x 5/8", has a spring-opening mechanism, two inside bars with springs, and a very strong latch. 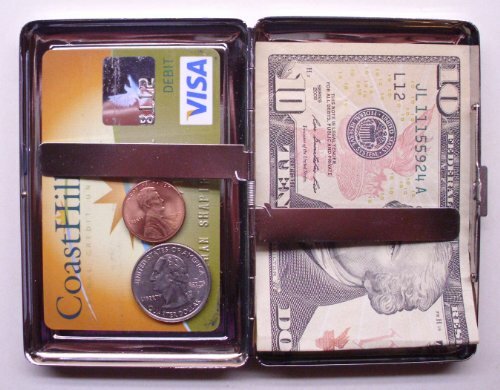 This case protects credit cards from RFID theft and demagnetization. The vivid, high-quality image is thickly coated with a virtually indestructible, perfectly clear, waterproof and UV-proof polymer. 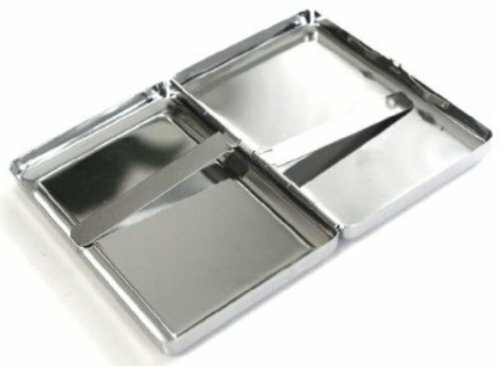 Ideal for smokers or non-smokers, it can be used for 14 credit cards, 16 regular or long cigarettes, business cards, gift cards, mp3 players, iPods, ear buds, etc. It comes bubble-wrapped with a gift card. If you'd like the card personalized just include a note with payment. 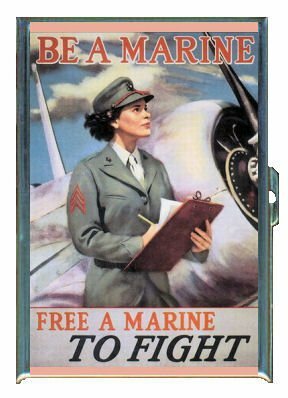 Posters MARINE RECRUITING POSTER WORLD WAR II ID Holder, Cigarette Case or Wallet All production on this sturdy solid steel case is done in the United States! It measures 4" x 2 3/4" x 5/8", has a spring-opening mechanism, two inside bars with springs, and a very strong latch.